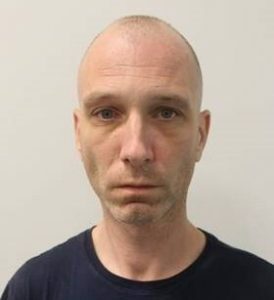 An investigation by the Met’s Counter Terrorism Command has led to the conviction of a man who was gathering together fireworks and other components to make an improvised incendiary device he was planning to use to target a mosque in south London. Steven Bishop, 41 (28.11.77) of south London pleaded guilty at Kingston Crown Court on 8 April to possession of an explosive substance with intent, contrary to section 3 of the Explosive Substances Act 1883. He previously pleaded guilty to collection or making a record of information of a kind likely to be useful to a person committing or preparing an act of terrorism, contrary to section 58 of the Terrorism Act (TACT) 2000. He is due to be sentenced on 10 April. Bishop was arrested by Counter Terrorism detectives on Monday, 29 October 2018, at his address in south London. Officers attended the address after police were contacted by one of Bishop’s key workers when he showed her images of items he was collecting for the purpose, he said, to build ‘a bomb’, and told her that he was intending to target a mosque. Commander Clarke Jarrett head of the Met’s Counter Terrorism Command said: “From our investigation it was clear Bishop stockpiled a quantity of fireworks and other component parts with the intention of creating a device that he was intending to use to target a mosque. Thanks to the diligence of his key worker in alerting us we were able to intervene before he could progress with his plans any further and crucially, nobody came to any harm. “This example shows that information we get from the public really can help to protect the public and save lives. If you have any information about suspicious or terrorist activity, then please ACT and report online or call police on 0800 789 321. After questioning and whilst further enquiries were being carried out, Bishop was charged a week after his arrest on 5 November 2018 and subsequently pleaded guilty to the offences above. Following the guilty plea, Bishop was remanded in custody and is due to be sentenced on Wednesday, 10 April at Kingston Crown Court.